Great information on local Chicago resources for the local boating community. Chicago Harbors 2016 Weekend Schedule, your #1 guide for all the top events and activities for boating in Chicago this summer. 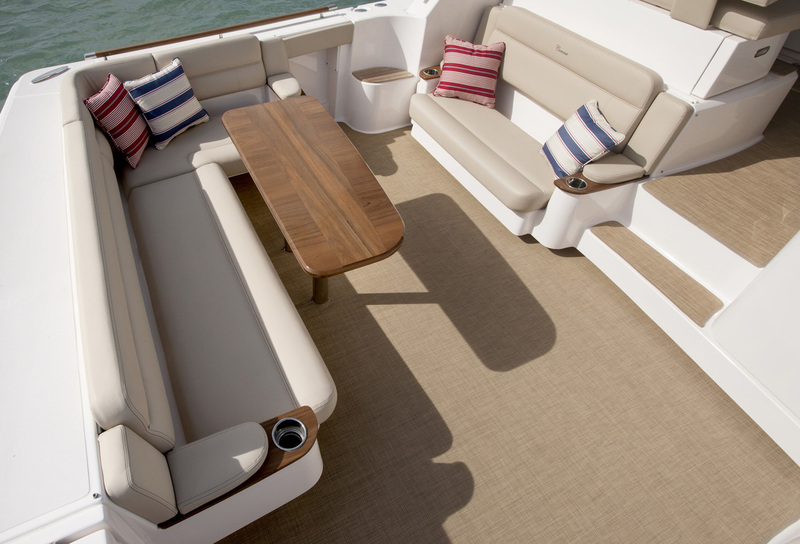 Our Chicago Boat Storage Guide is the authority when it comes to great marinas and boatyards for winter storage for your yacht or boat. It is arranged by geographical area around Chicago with pros and cons. If you’ve had a great experience or difficult one at a storage facility listed or would like one added please submit a comment and we’ll get it on the list. 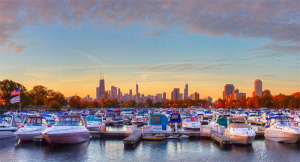 Storing your boat in the Chicago River system is a convenient option when keeping your at the various Chicago Harbors during the summer months. This can be a huge benefit when facing inclement weather in October since you don’t have to travel far in potentially rough seas. You do pay a premium for this convenience but it does allow you to get the most out of your boating season making these a favorite of the Chicago Boat Storage Guide. Goose Island Boatyard : The only storage facility on the north branch of the Chicago River, Goose Island Boatyard is a full service medium sided facility. Access to the yard is reasonable and for the “do it yourselfers” they allow boaters to do their own work as long as it’s within reason. They do offer indoor storage which is very limited so the majority of boats are shrink wrapped outside. Chicago Yacht Yard : A large full service boatyard located on the south branch of the Chicago River, this yacht yard has it all. 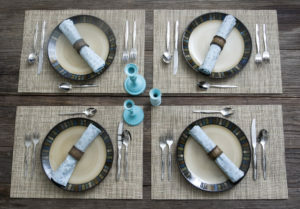 They have multiple storage options of indoor (heated or cold) and outdoor. Access is good but do have rules when it comes to doing your own work. Forest View Marina : This is a nice marina located farther down the south branch from the Chicago Yacht Yard. They have a nice indoor storage facility but also offer outdoor storage too. Offering a full range of maintenance, Forest View Marina is a good lower cost option farther down the river. Depending on your harbor, the Calumet River is located about 20 miles south of Chicago by water. As long as the weather is co-operating it’s a nice cruise at the beginning of the season as you take in the Chicago skyline. NE winds in the fall will help push you down but you don’t want to have too much help as winds over 15 knots can make it an uncomfortable ride. Traveling on the river is enjoyable but be conscious of the barge traffic which services some of the industry located on the river. Rates are less than what you’ll find on the Chicago River but it seems to equal out when you consider the gas burned to/from along with travel distances to the area. 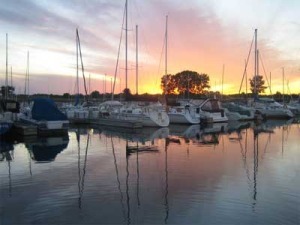 Crowley’s Yacht Yard Lakeside : Crowley’s is the first marina of many that you’ll find in the Calumet river. They’re a favorite in the sailboat community but there are also plenty of powerboats at this mega marina. 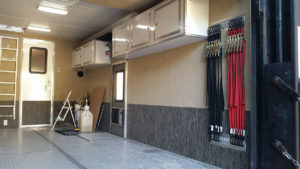 They have plenty of indoor or outdoor storage space and are full service for all maintenance. Skyway Yacht Works : Just beyond Crowley’s you’ll find Skyway Yacht Works. Skyway is a newer full service marina that focuses on storage and service. You’ll be able to choose form indoor heated or outdoor storage at this facility. Sunset Bay Marina : Once you make it down the river through the loch, Sunset Bay Marina will be on your portside. 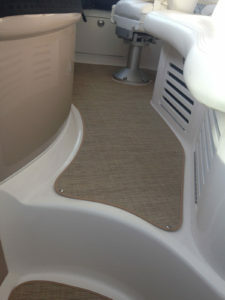 They also are a full service marina with indoor and outdoor storage. They also have fuel which is generally at a good price. Marine Services Corporation : Marine Services Corp keep growing and recently added a 25,000 sq ft building for indoor storage. They have multiple storage buildings on site but also offer outdoor storage too. Once unique feature is that they operate their own harbor with 128 slips along with full service maintenance. Pier 11 Marina : Pier 11 Marina has been a family business since 1983. They are a full service marina with summer and winter slips. One of their specialties is REPO boats. Pier 11 Marina works directly as an agent for the banks so you get the best deal possible. True REPOs with no middle man. There are plenty of great storage areas across Indiana and Michigan but here are a few that we’ve had experience along with other boaters in our network. There maybe some cost savings when storing in these areas but the travel expense and time negates the savings. If you purchases your boat from a marina or boat dealer in Indiana or Michigan, that’s a great reason to return to them. These businesses like to cater to and keep their customers offering great deals on winter storage but also service. 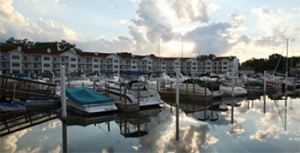 B & E Marina : Only 38 miles from Chicago by water, B & E Marina is a premiere dealership and marina. 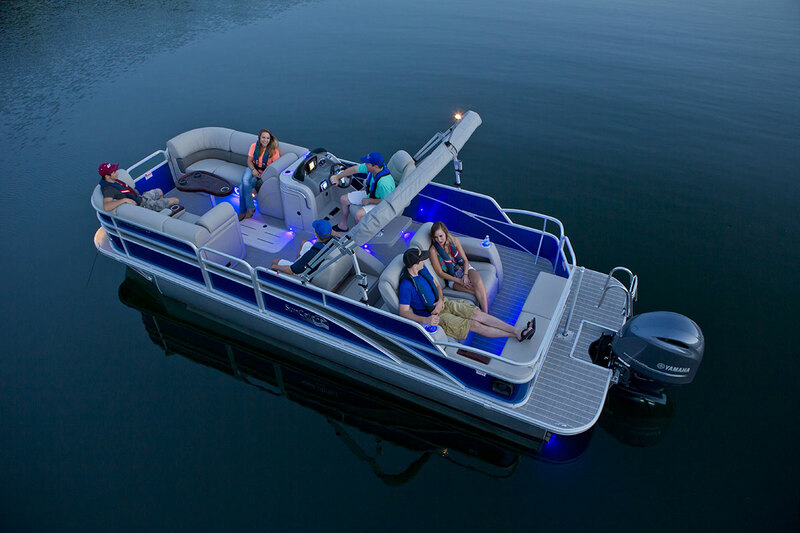 They are authorized dealers for Sea Ray, Meridian and Boston Whaler along with a large brokerage selection. Winter storage options are for indoor or outdoor with a full range of maintenance services. Shoreland Marine : This Michigan City, IN caters primarily to northwest Indiana and southeast Michigan but does have some boats come in from Chicago. They offer full service on maintenance and also fiberglass repair. You have the choice of indoor or outdoor storage along with all winterizing services. Pier 33 : Located in St. Joseph, MI this full service marina is ENE from Chicago. It’s a very professional marina with new and used boat sales and service. 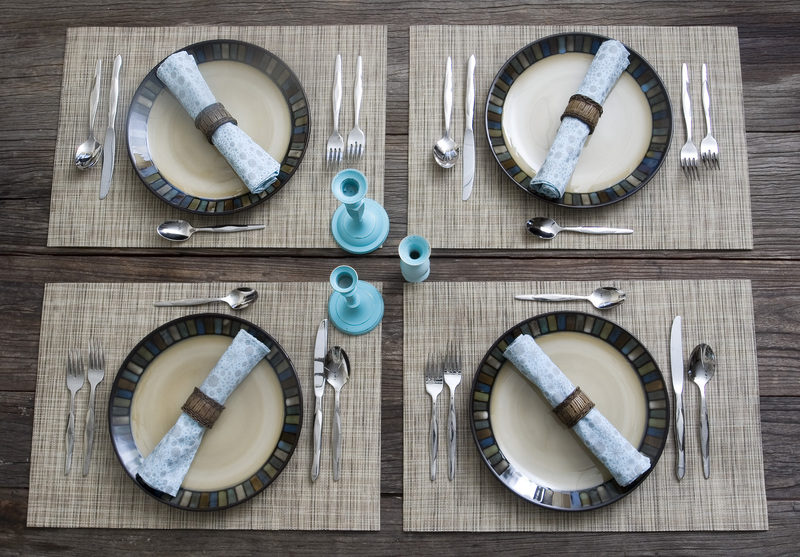 Storage options are indoor and outdoor at a very reasonable price. Winter Storage in Chicago doesn’t get any easier than just staying at the harbor! There is some downside with storing at the harbor such as they’re not a full service marina but Skipper Bud’s does service each harbor. Both locations offer some discounts in conjunction with summer slip fees too. Montrose Harbor : Only outdoor storage is available but they can fit up to 300 power and sail boats at the harbor for winter storage. 31st Street Harbor : The newest of the Chicago Harbors, 31st St Harbor offers indoor heated and outdoor storage for up to 200 boats. 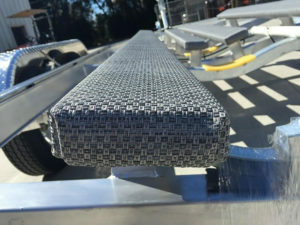 If you have a trailer for your boat and can haul out yourself the options are really limitless. From your neighbor’s driveway, barns to your local public storage units you can pretty much store anywhere. You’ll just want to confirm that area is secure and a safe environment for your boat. Munroe Storage : This is a great storage facility in Plainfield, IL that has winter storage for cars and boats. 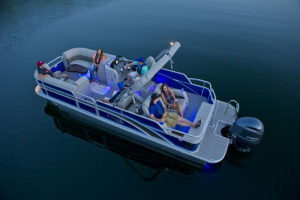 It’s indoor/unheated storage at a great price making it #1 for the Chicago Boat Storage Guide! Boat length is really not an issue but the overhead doors are 16′ tall which shouldn’t be a problem for most boaters. If you trailer you boat this is a great option that’s about 10 minutes off I-55. 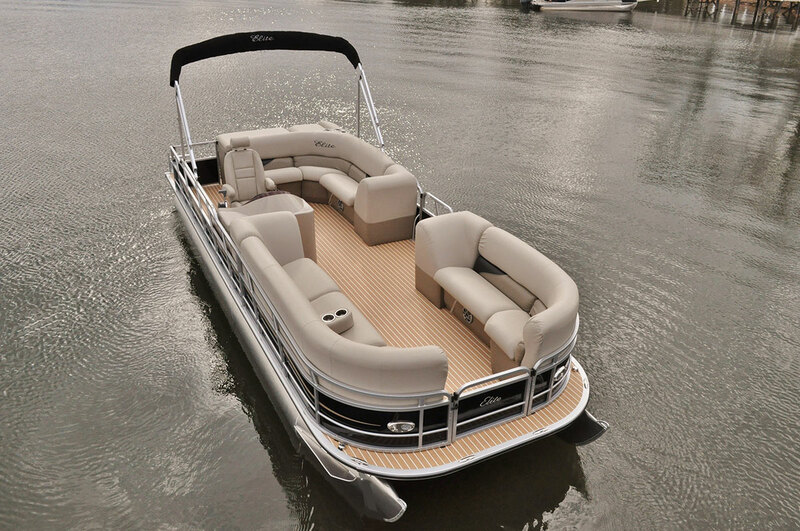 We hope your gained some valuable information from the Chicago Boat Storage Guide and this helps you in deciding on where to store your boat over the winter. We will continue to update the Chicago Boat Storage Guide and appreciate your input. The Chicago Boat Show Free Seminars is a great place to find very valuable information and also a great time to talk to the experts. 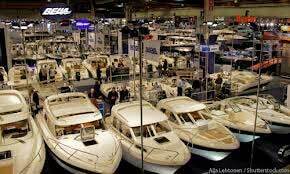 Below is a complete schedule of the 2015 Chicago Boat Show Free Seminars schedule. McCormick Place—South Building – NEW LOCATION!!! 5:00 pm Oh NO, there’s ethanol in my fuel! 2:00 pm Oh NO, there’s ethanol in my fuel! 6:00 pm Oh NO, there’s ethanol in my fuel! 12:00 pm Oh NO, there’s ethanol in my fuel! Chicago Boat Show Free Seminars are a great place to learn about your boat and become a better boater. Don’t miss out on the Chicago Boat Show Free Seminars this year! 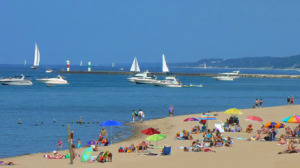 There are many great Chicago and South Lake Michigan Harbors that boaters visit every summer! Here’s a list along with some great information on each starting from the northwest. Northpoint Marina : The largest marina on Lake Michigan is home to over 1500 slips with some of the nicest facilities available. With transient slips available, this is a great place to stop off when cruising between Milwaukee and Chicago. Waukegan Harbor : Just south of Northpoint Marina, Waukegan Harbor has some of the nicest amenities you’ll find. It also has excellent salmon and lake trout fishing right outside the harbor. Wilmette Harbor : Wilmette Harbor is a very small harbor that caters primary to small sailboats. The main attraction though is the architecturally stunning Baha’i Temple which is a hidden gem for boaters just south of the harbor. Sporting one of the few areas with sand bars on the western shores of Lake Michigan, this area is anchor down at when light SW winds are blowing. Montrose Harbor : Montrose Harbor is the most northern harbor in the 10 Chicago public harbors. Fishing from shore around the harbor is excellent and it also has a great bait shop too! Belmont Harbor : Belmont Harbor is one of the largest harbors in Chicago providing slips to both sail and power boats. The fuel dock facilities can accommodate vessels up to 120′. Diversey Harbor : This harbor is home to power boats only due to the bridge clearance of ~ 14′ at the mouth of the harbor. It’s one of the most vibrant harbors in Chicago and also has 2 launch ramps for daily boaters. Being steps away from Lincoln Park and Lincoln Park Zoo, this is a great place to lay up for the night. This could be the wildest Chicago and South Lake Michigan Harbors. DuSable Harbor : DuSable Harbor sits on the northern point of Monroe Harbor which is where you would enter by sea. It’s the closest harbor to Navy Pier which always provides a great day of entertainment. Monroe Harbor : The harbor of cans….. Not those cans but the cans you will have to moor your boat too! There are no slips at this harbor but the cans are a very affordable way to start boating in Chicago with some of the lowest rates for slips. Monroe also has a great “touch and go” for picking up and dropping off guests. Burnham Harbor : Home of some of the largest yachts in Chicago and also the Chicago Bears, this harbor has something for everyone. Burnham Harbor is located with in walking distance of Chicago’s museum campus and Northerly Island which hosts outdoor summer concerts just about every week. Getting a transient slip on the east side of the harbor is the way to go to enjoy your favorite bank on the night of the concert. 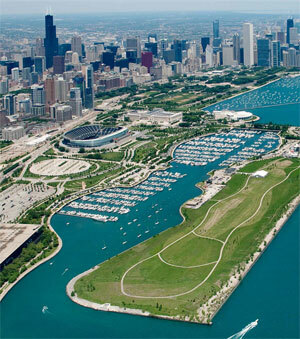 31st Street Harbor : The newest harbor in Chicago, 31st offers some of the best amenities available to boaters. It also has a very wide and accessible set of launch ramps and hosts some great events over the summer. The Chicago In-Water Boat Show is one of a kind where you can pull up and dock your boat while browsing the newest boats available. There are also plenty of summertime concerts at 31st too. 59th St Harbor : This harbor is one of the smaller harbor in Chicago but one of the most beautiful. It’s a short walk to the Museum of Science and Industry and also the 63rd St Beach. There’s also a public golf course nearby too. Jackson Park Outer & Jackson Park Inner : The Jackson Park Harbors are divided into two with Jackson Park Inner only able to accommodate power boats due to bridge restrictions similar to Diversey Harbor. The harbor has a fuel dock offering both gas and diesel. Hammond Marina : Not only is Hammond Marina great to tie up at for a trip to the Horseshoe Casino but also hosts one of the best festivals of the year, Festival of the Lakes. Michigan City Port : This harbor has gone through some great renovations over the past 10 years. There’s a great beach right next to harbor and home to some of the most majestic sand dunes in Indiana. New Buffalo Harbor : New Buffalo is one of the closest and best destination when traveling from Chicago by sea. The Stray Dog Bar & Grill is a must see when your in town but there are plenty of good restaurants and bars within walking distance to the harbor. Transient slips are available at a great rate and it’s the perfect place for a quick overnight stay. St Joseph & Benton Harbor : These two cities have developed into one of the most popular stopovers in the lake which lie at the mouth of a major river. West Basin Marina is a good place to stay since it’s the only marina with connection to the beachfront. This is definetly a port where you’ll want to spend a few night traveling around the river and also to see what both towns have to offer. South Haven : South Haven is by far the premier cruising destination with multiple marinas available to dock at up and down the winding river which makes it so popular. It’s very easy to walk through this historic and beautiful town with it being another port that you’ll want to stay more than a day at. Another great resource for South Haven is the South Haven Visitors Bureau. Saugatuck : Sometimes called the Cape Cod of the midwest, Saugatuck is a beehive of social activity. When you enter the channel into the Kalamazoo river there’s a great anchorage right inside to starboard which gets very crowded on the weekends. As you get into Kalamazoo Lake they’ll be plenty of slips on northside servicing the downtown area. This is one of the best Chicago and South Lake Michigan Harbors. Holland : A pleasant town of tulips and Dutch charm on inviting Lake Macatawa, Holland’s beauty is unmatched. You won’t find the hustle bustle of Saugatuck in Holland but it’s a great place to explore and unwind. When entering this port you won’t miss the now silent foghorn of Big Red on the south pier. There is nothing more beautiful than some of the Chicago and South Lake Michigan Harbors. To visit all the Chicago and South Lake Michigan Harbors takes years and should not be rushed. Please send your comments on your favorite Chicago and South Lake Michigan Harbors today.